Lemon yogurt soap for fresh morning! Do you want to know what happens with yogurt in soap? And does yogurt soap need to be refrigerated? How does this affect the soap color? It’s really just a variation on the basic recipe, but my recipe testers liked it so much, I decided to feature it. During the testing, I kept getting emails: “Soap 20 was great” “I like everything about this one!”, “What in the world is in Soap 20? It’s best of all!”. No one guessed it didn’t have any luxury ingredients in it. After such a description, it is evident I had to try it! 2 What happens with yogurt in soap? 4 To freeze or not to freeze? That is the question! Yes, yogurt is not a luxury ingredient, but in the process of saponification, part of it changes to a chemical with perfect moisturizing characteristics: sodium lactate, as I will explain below. This is the book on milk soapmaking from Anne L. Watson. 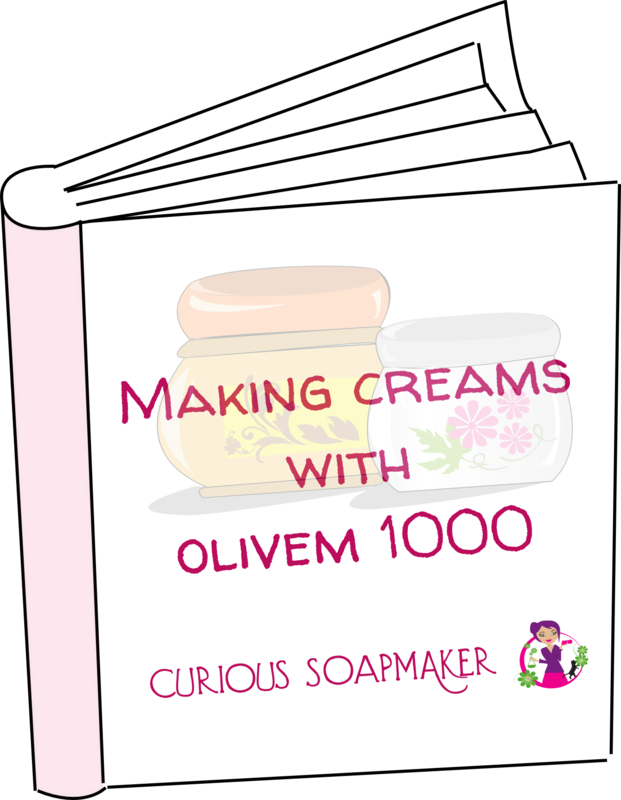 It has a plenty of nice milk soap recipes (like the one that inspired this one) and explain nicely in detail the theory. This yogurt soap recipe is very simple and without palm oil, and therefore ecological! However, citrus oils are more volatile and less stable in alkali conditions, so I added also a bit of rice bran flour as a scent fixative (any other flour or starch can be used). As this was my first time making yogurt soap, I also examined the effect of different temperatures on soap curing. To avoid this, lye solution temperature is kept as low as possible by freezing milk/yogurt in advance and dissolving lye in it while constantly cooling the lye jar. Then, after pouring, soap is put in the fridge. My question was – is this necessary, and how does this affect the color? What happens with yogurt in soap? lactic acid (one of the most prominent compounds of yogurt) reacts withsodium hydroxide, resulting in sodium lactate. Looking at all the pros, there is no doubt the testers of Anne loved this soap! Well, and I do love it too!!! I never had a soap which makes such an excellent lather, one has an impression to be washing with a cream! And moreover – thanks to the fixative I added (see the recipe below), this soap smells fresh citrusy and it is literally the thing that wakes me up in the morning shower! 1) Mix well white yogurt with the water and freeze. 3) Very slowly – in small batches – add the NaOH into the frozen yogurt/water, while constantly stirring. Control the temperature of the solution so that it does not exceed 40°C (104°F), otherwise the milk sugars will caramelize and this will impair the whiteness of the soap. It took me 15 minutes to dissolve all the NaOH and despite this, my solution finished a bit yellowish. 4) Melt coconut oil and pour it into olive oil. This will keep the temperature of your oils low. 5) Add lye+yogurt solution to the oils and mix until trace. 7) Finally, pour in the molds – individual preferably – in order to keep the temperature and consequently the yellow color low. To freeze or not to freeze? That is the question! My question was – is freezing soap necessary, and how does this affect the color? I poured soaps into individual plastic molds and one plastic log mold. I covered the top of the soap by baking paper to prevent soda ash. I wanted to know, how the curing temperature affects the soap color. Soaps from the freezer (12 hours in the freezer, 12 hours in the fridge) were the whitest – although still yellowish – were also easy to unmold, BUT! after the soap reached the room temperature, they were very soft. I damaged them a bit by manipulation – like if it was cold butter. This was probably because the saponification reaction slowed down substantially at such low temperatures – this theory was later confirmed by the fact, that 24 hours after unmolding, each soap from this batch developed a strong layer of soda ash (by the reaction of unreacted lye with air). Soaps from the fridge (24 hours) were more yellow, but difficult to unmold – I had to put them in the freezer for 30 minutes. These were substantially harder than the soaps from the freezer. 24hours after unmolding, a thin layer of soda ash developed. 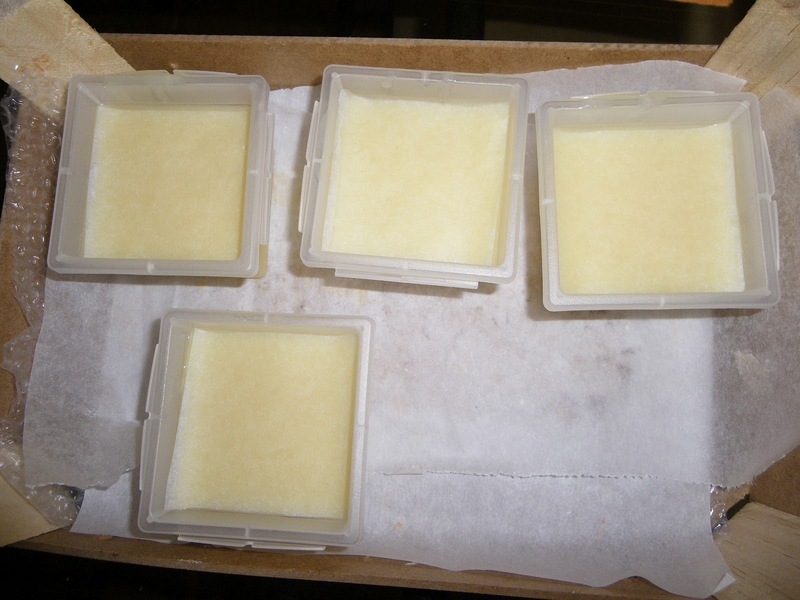 Room temperature soaps (24 hours) were the darkest and also had to be put in the freezer for better unmolding. There was no sign of soda ash 24 hours after unmolding – the saponification has taken place almost completely. 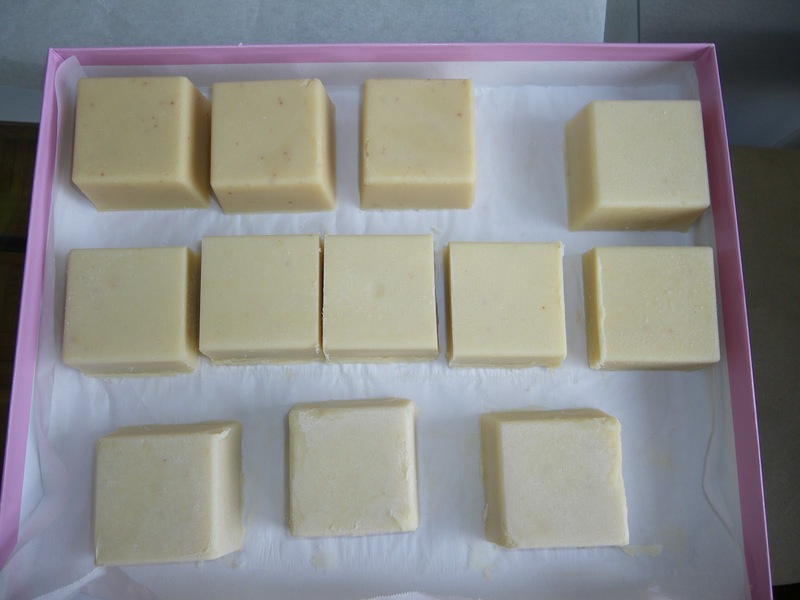 Soaps after 24 hours in molds – top soaps are from the freezer – see how soft they were and how they were damaged b manipulation; middle row and first from the left in the bottom row – soaps from the fridge; bottom row – three soaps on the right – room temperature. The color differences are not seen well at the photo. Soaps 24 hours after unmolding. Bottom row – freezer soaps (see they are lighter, but with soda ash), middle row and first soap from right on the top- soaps from the fridge, top row three soaps from left side – room temperature soaps..
PS: Do you like my experience? How do you make your soap? Answer by leaving a comment below the post! Have a nice soapmaking day! Middleton JD: Sodium lactate as a moisturizer. Cosmetics and Toiletries 93: 85-86, 1978. Harding, CR, Bartolone, J and Rawlings, AV. Effects of natural moisturizing factor and lactic acid isomers on skin function. In: Loden, M and Maibach, HI, editors. Dry Skin and Moisturizers: Chemistry and Function. Boca Raton: CRC Press, 2000. p.229-241. This entry was posted by evik on November 12, 2012 at 00:07, and is filed under soap recipes. Follow any responses to this post through RSS 2.0.You can leave a response or trackback from your own site. Hi Tina! Thank you for your comment! I on my site never did a goatmilk soap, I just added it in rebatching (which is really cool). 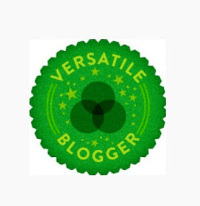 I had a look at your webpage, your soaps look amazing, pity you do not have a blog, I would happily read it! Have a nice soapmaking day! Hi and thank’s for the recipe! I have made different kind of soaps until now (cold and hat processed) but never with milk or yogurt. When you say “Mix well white yogurt with the water and freeze.” in the deep freeze or refrigerator and for how long? I did not measure the exact Ph of my soap, I just use the phenophtalein test and zap test, both OK, so it’s under 10. For face, I use soap with red argile clay (will be posting a recipe). Works quite nice, my skin is mixed, some wrinkles, often dry after washing with hard water (if you have hard water, try distilled or soft water, it makes real difference!). But the lemon yogurt soap might work, too! Hi Agnes, hummm, did you add the cornstarch, too? Mine usually keeps its smell for quite a while, actually. But, you are right, essential oils are lighter than water, somewhere between 85%-95%, this can be one of the reasons. Also, often the scent evaporates on the top, but when used, it reappears in the lower layers. But do you think the gramms and the milliliters are the same quantity? Because I did in milliliters but you gave the amount in gramms. And yes, I always add cornstarch to every smell, because loads of the smell dissappears and the essential oils are pricey…but just one thing to add to lemon smell: the only one has not dissapeared for me so far is the citrus eucaliptus which is a type of eucaliptus. The smell has nothing to do with eucaliptus it is a strong citrusy smell and it stays perfectly, no dissapearing. Well, sorry for not being clear, when I meant that essential oils are lighter than water, I wanted to say that given the fact that 1g of water = 1 ml, and essential oils weigh between 85-95% (but more often less than 90%) of what water weighs, that means that 1ml of essential oil weighs around 0.85 grams. This means 10 ml of essential oil is only 8.5g, which is less than the desired quantity. What is meant by “conserves the soap” is that some softer soaps waste away very quickly in the shower, especially if they get hit with a lot of water. It will seem like you’ve only used them a few times and they’re gone. Whereas soaps with sodium lactate are more durable and therefore will last much longer under the same conditions. Thank you, N.B., for your input, I updated the info in the article! i am from india and a soap addict… your recipe for a yoghurt soap was the easiest and i gave it a try and let me tell you , i loveeeeeeeeeee this soap…………. it is rock hard, does not melt away quickly and the tip about adding cornstartch helped a ton with fixing the scent :)….. and yes its by far my favourite soap :)…. I made the Yogurt soap recipe from book. Read instructions wrong and put in freezer 3 hours and then room temp. until unmold. The soap seemed fine. a little soft but cut ok. colorant lemon, EO lemongrass and lavender. Cant wait to try out the soap. Looks nice and creamy. This is a super-detailed description, and I liked your experimenting with the freezer-fridge-room temperature soaps. Thank you for sharing this recipe and all the related information! Hi Anne, happy to help! Hi I want to try your recipe, at what temperature do we mix the lye yogurt solution to the oils? Hi Ayu – well, normally it gets to a room temperature after mixing it with frozen yogurt. ok so we don’t have to heat the oils? Well, you have to melt coconut oil, but that melts at 76°F, which is pretty low temperature. If you mix it with olive oil than the mix gets to the room temperature. What about using whey left after making cheese as a substitute for yoghurt? And done through hot process method. You think is worth trying? First of all I would like to thank you for the precious information you giving us through your blog. Some of them I knew and some not even hear about. A while ago I was asking you what is going to happen if I will replace the yoghurt with whey. But I decided to try it myself. I use whey as a liquid to dissolve the lye. The solution came out yellow-orange. In first faze of boiling the soap( at low temperature of course ) the oils and lye-whey solution separated. I taught I ruined everything but I kept on boiling and after a while it came together again . After 4 hours of boiling I poured the soap into a big mould because it was too crumby and the colour was and still is awful. But I made peace with the idea I will throw it away but not before trying it . And for my surprize the soap is wonderful on skin. I never made a better soap in terms how it works on the skin. It hydrates the skin and leaves a little humid sensation on the skin and the skin is not shiny at all contrary looks like you put some kind of powdery make up on it. All in one I am more than happy with this soap but very unhappy with the colour. Hi Monica, I am so sorry I never replied to your whey question – I wanted to, but got busy and then forgot… thank you very much for the report. I did try whey two years ago in a soap that turned out to be excellent. I thought I posted the recipe, but I did not. Well, I will, as I loved the soap, too. The recipe contained coconut and olive oil. I used whey instead of water. I did not boil soap at all, I cold-processed it. 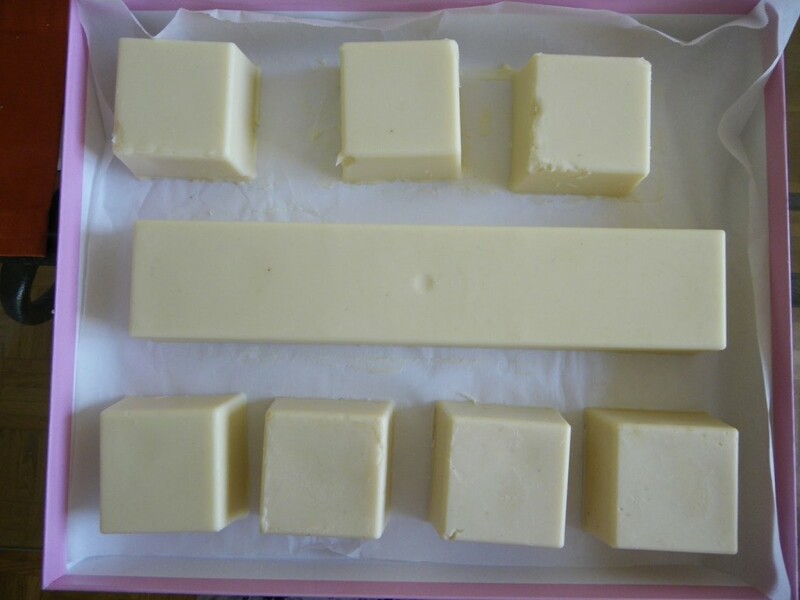 If you hot process soap containing any type of sugars (milk, sugar, honey), it will turn brownish. That is why I never hot process soap with milk, yogurt or whey. I tried whey in combination with cream in this recipe: http://curious-soapmaker.com/avocado-soap-with-cream-gentle-peeling.html. How long do you cure your Olive Oil soaps before using them? I’ve heard they need to cure 6-9 months. What do you think? 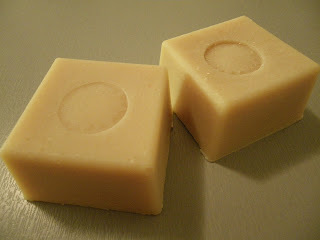 Thank you for the lovely Yoghurt Soap recipe it has turned out to be my favourite one so far. As I am new to soaping with dairy products can I ask you a question? Would it be possible to use 394g of just yoghurt instead of yoghurt and water? A bit late to the party but I’m looking forward to trying this. As Carolyn says, can you tell us how long the soaps have to stand before use? (Carolyn – I’m fairly new to this, but have made various olive oil based soaps and not had to leave them for anything over six weeks). Hi Jo! Depends if it passed gel phase or not. If it did, you can use it sooner (after a week), if it did not, then in this instance 2-4 weeks. BUt also depends on the recipe, full olive oil soaps take much longer to lower their pH, you should test it time to time. could you please explain step 2 I thought you were adding the frozen yogurt water to the lye but step 3 you address the lye to the frozen stuff. Hi Nadine, thanks for the feedback, indeed in step 3 I add lye to the frozen yogurt+water! Hi Nadja, thanks! I love the idea of using Kefir, will give it a try! Thank you for sharing your experiment results! You learn something new every day! I make yogurt soap, too, and usually mix my lye water (50% of total liquid called for in recipe) as normal, add to oils and blend just enough to incorporate into the oils. At that point, I add my yogurt (the other 50% of liquid weight in recipe) to the oil and lye mixture, then blend until trace. That works really well for me, and I do not experience much if any yellowing of the soap which I usually keep in the fridge for 10-15 hours after molding. Ive been looking for something new to try, the 100 % olive oil with salt reminds me of the marsellle soaps ive seen talked about a bar based in Italy, all olive and a bit of salt and maybe baking soda, but its cooked for days or weeks. im trying that after this, since this has salt in it as well and I will be using all olive. I may try a small batch of this tho. have you tried all yogurt with no water? Hi Christy, interesting idea, not sure whether that would really help. I tried adding yogurt at trace, but without much success. Actually, the problem with this recipe is that it contains citrus oils, which color soap yellow. I have not tried yogurt yet, but I have been wanting to. I do make goat milk soaps. I usually leave them in the fridge for a week or more. I rarely have any problems with them being too soft leaving the soap this long before unmolding. I don’t think I would be able to leave it alone that long if it weren’t for the fact that I have a second fridge. I hate to wait to unmold. Hi Trudy! Normally, soaps do not need refridgerating at all – they can stay anywhere, the only thing that could happen is that they will go rancid, if you used rancidity prone oils. However – if you did use avocado in your soap and you did not mix it well – meaning you have junks-pieces of avocado fruit, then yes, the avocado in the soap will indeed turn mouldy. This is true for any fruit or vegetable in soap if it is not mixed in well (I mean if it remains in small pieces). Hi Evik, thank you for your sharing. it is very useful. I want to try to make it. So far I have made fruity soap. So, could I change the yogurt with kefir ? Hi, after reading most of the comments I was wondering if I could the yogurt be added after the room temp lye water and oils are mixed but not at trace? If so, should I discount my water some? If you add yogurt into the lye water, it will still heat up and the same thing would happen – curdling, amoniac smell, heating… So, it is really better to freeze it and work at the lowest temperature possible when adding directly to lye. If you use anything like milk products or yoghurt always remember they do contain an natural sugar. And it does burn therefore it is always best to freeze the liquid you going to use for soapmaking. I’d like know if in the step 3, you are adding solid lye or lye solution to frozen yogurt/water.